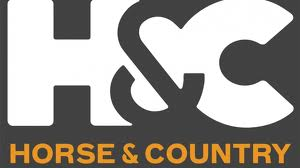 Horse & Country TV, the specialist international equestrian sports and lifestyle network, which currently broadcasts on Sky, has appointed Simplestream to power their new H&C TV Everywhere online service. The news comes at the end of a year that has seen Horse & Country TV review its distribution options with a viewer survey on its website earlier this year asking how viewers would like to watch the channel. Simplestream has developed the H&C TV Everywhere website, together with mobile and tablet applications for both iOS and Android. The bespoke apps offer easy access to a range of free features, including H&C TV’s daily video clips, news and the on-air schedule. H&C’s live stream and 7-day CatchupTV service is available to subscribers for a small monthly charge. H&C TV CEO, Heather Killen, said: “As an independent channel, H&C needs technology partners that help us monetize our audience and cost-effectively future-proof our operations. We appointed Simplestream to deliver our new subscription service in the UK and Ireland following an exhaustive technical review." Simplestream CEO & Founder, Adam Smith, said: “We have been delighted to work with Horse & Country to deliver an advanced OTT solution for their business. Using our Media Manager technology to automate their workflows as much as possible, H&C are able to operate a live streaming and catchup service with functionality similar to that of the Public Service Broadcasters, with no compromise on quality or user-experience”. H&C TV Everywhere will be available from December 16th for a monthly subscription of £4.99 and will run in parallel to the channel’s current offering on Sky and as a free-to-air service via generic free-to-air satellite receivers.